Condo insurance can be tricky to navigate. the nature of insuring a box within a box can be difficult and legally fraught. Here are some things to check and keep in mind as you navigate the NY condo insurance world. Check your master policy: Obviously you don’t own the entire complex, but its important to know what you do own. You may own your unit, is it an “all four walls” type of policy? Also, how is the rest of the condo insured. The condo association ought to have some type of commercial coverage on the shared space. If your unit is covered merely “all four walls” then you may need more coverage. If you’re covered “all in” by your condo’s master plans, then you’re in less need of coverage. The association deductible: This is the deductible you will have to pay on your condo if there are damages. It is built into the condo’s master policy. Cash value or replacement coverage: There are two types of coverage for compensation. One being replacement in full and the other providing a cash value sum for your condo. Cash value leaves you with less overall coverage but lower premiums. What are you insuring: You want to insure both the contents of the home and the internal structure, such as the flooring and cabinets. Try to do both. Flood and Storm: These are two incidents not often covered by insurance. See if you need this type of coverage in your area. At Kenneth Bieber, Inc., we believe the purchase of insurance should be made with the best intentions including good advice and plenty of choices. As an independent agent, we work with numerous different insurance companies, which means by working with us you are not restricted to just one set of options. To begin, simply choose the quote you want from the options below, answer a few questions and you’re on your way. A Kenneth Bieber, Inc. team member will then compare your options to customize a policy to your needs and concerns. Finding Home Insurance Online is a convenient and affordable way to protect your most important investment. Whether you own a house, rent a condo unit, or lease an apartment, you can have true peace of mind with a New York home insurance policy from Kenneth Bieber. Our policies are flexible and customizable to meet each client’s personal insurance needs. We’ll work with you every step of the way to build a policy that matches your home, your lifestyle, and your financial assets. Protect what’s most important to you and discover a new sense of security with Kenneth Bieber home insurance online. New York Home Insurance from Kenneth Bieber does more than simply pay for financial losses incurred in the home. Our company’s policies also help to prevent losses and accidents, saving our customers time and money every day. We offer many types of New York home insurance coverage to protect both you and your property. 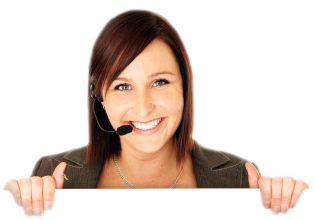 Our Claims service is responsive and caring, giving each customer personal attention. Every property insurance policy we create is affordable, comprehensive, and easy to understand. Insurance analysts continue to assign us their highest ratings as we adjust our policies to incorporate the latest insights in the field. In addition to award-winning plans, Kenneth Bieber provides industry-leading expertise and home insurance quotes online. Since 1962, we have been at the forefront of personal insurance in New York. Our extensive online Knowledge Center has everything you’ll need to make an informed decision about your home insurance coverage. Complete with guides and tutorials, our site will give you the tools for success and security no matter your current personal situation. Attentive customer service, decades of experience, and an outstanding reputation make Kenneth Bieber the best choice in New York home insurance. We’re ready to help you build your future.